Lee Kuan Yew was proved wrong in the 70s. What about now? Andrew Loh. 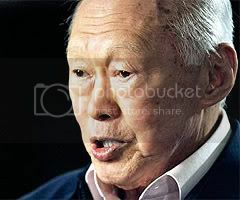 On 8 March 2008, the Straits Times carried a report headlined, “Oil prices ‘unlikely to rise further’.” The person making that prediction was none other than Minister Mentor Lee Kuan Yew. Hardly two months later, prices rose above US$110 in May. Another two months later, in July, prices shot to US$145. The point here is that we must not be lulled into thinking that MM Lee is always right. He is not. Even his GIC outfit has lost more than $50 billion in bad investments this past year alone. Thus when the 14 August 2009 edition of the Straits Times gave front page prominence to MM Lee’s remarks on foreign workers and immigrants, we should take pause and ask ourselves: Is MM Lee right? His past results in population control is, to say the least, dubious. “Birth rates fell from 1957 to 1970, but then began to rise as women of the postwar baby boom reached child-bearing years. The government responded with policies intended to further reduce the birth rate. Abortion and voluntary sterilization were legalized in 1970. Between 1969 and 1972, a set of policies known as “population disincentives” were instituted to raise the costs of bearing third, fourth, and subsequent children. Civil servants received no paid maternity leave for third and subsequent children; maternity hospitals charged progressively higher fees for each additional birth; and income tax deductions for all but the first two children were eliminated. Large families received no extra consideration in public housing assignments, and top priority in the competition for enrollment in the most desirable primary schools was given to only children whose parents had been sterilized before the age of forty. Voluntary sterilization was rewarded by seven days of paid sick leave and by priority in the allocation of such public goods as housing and education. 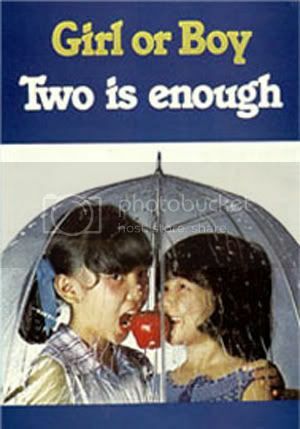 The policy was so clinically effective in its application and implementation that by the 80s, Singapore’s falling birth rate was in the danger zone. None of the Members of Parliament at that time sounded any alarms about the danger and all apparently supported the birth control policy. The local state-controlled media went along for the ride, much as it is today. Yet, instead of a total reversal of the policy when it became clear that it was having adverse consequences, MM Lee introduced another ill-fated idea – the infamous “Graduate Mothers Policy”. In 1985, the highly unpopular policy was abolished as it was not achieving its aims of having graduate mothers produce more babies. It was only in 1987 that the Stop-At-Two policy was abandoned entirely. By then, Singapore’s birth rate had run into serious problems – we were not replacing ourselves at an appropriate rate. 30 years later, the same man who was responsible for the “Stop At Two” policy in the 70s, is now telling us that the government “accept only immigrants who increase the average level of competence of Singaporeans” – and doing so to the tune of 1.68 million foreigners presently on our tiny island, in a population of 3.2 million Singaporeans. This is in response to Singapore’s birth rate problem – it continues to fall, despite government incentives to induce Singaporeans to have children. Besides MM Lee’s dubious record in population control, the same danger of our Parliamentarians silently tagging along and thus giving support to such policies, as similarly happened in the 70s and 80s, may see history repeat itself – 30 years hence, with future generations living the consequences of this present policy. Calls from some quarters for the government to re-look its policy on foreigners have been met with dismissive remarks by government ministers. “Just zeroing in on foreign workers alone is not the total solution,” Manpower Minister Gan Kim Yong said in August. He also termed such calls “simplistic”. What concerns Singaporeans are not just jobs or economic prosperity but also the social consequences of having so many foreigners in our midst. This has led to some Singaporeans wondering if the government knows what is happening on the ground, where physical and personal space is now harder to come by, even in the heartlands. This may potentially result in social friction among the various groups, something which the Prime Minister spoke about in his National Day message recently. The government’s preoccupation seems to be the economy and how foreigners can contribute to this. It has said little about the social consequences, although it has set up the l “to drive social integration efforts across the private, people and public sectors”. The success of the council’s effort is left to be seen. In the meantime, the government has been urging Singaporeans to “embrace and accept” these foreigners, as MM Lee said on 14 August. 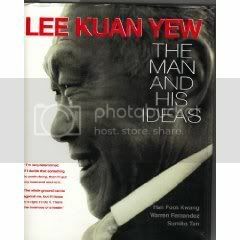 He also urged Singaporeans to “treat new citizens as equals”. According to the New Population Secretariat website, the number of PRs in 2008 was 79,167, upped from 63,627 the previous year. The number of new citizens hit a record high of 20,513 in 2008, upped from 17,334 in 2007. We seem to be in a hurry to bring in foreigners at an alarming rate. But perhaps all is not lost. The lone voice in Parliament calling for a re-look of the policy has come from the ruling party’s own Member of Parliament, Mrs Josephine Teo. But even so, she is only concerned about the falling productivity level of Singaporean workers. Her argument is that a more targeted approach to the employment of foreigners will help up the productivity level of Singaporeans. But given how the government seems to feel that the policy is the right one, and ministers have defended it to the hilt, it does not appear that any changes will be forthcoming. Lee Kuan Yew’s attempt at population control in the 70s and 80s has resulted in a population unable and unwilling to replace itself. Will our current policy at population control by the same government result in a worse fate for Singaporeans in the future? The real reason for the large percentage of imported labor, more than almost anywhere else in the world, is to keep wages down so that rent, utilities, transport and other costs can go up. It would have been alright if we did it like Dubai where the indigenous population sits on top of the economic food chain while foreigners do all the work. The problem is a large number of Singaporeans are at the bottom of the food chain….crushed. Anyone who’s had a track record in population control as Lee Kuan Yew has would be seen as a failure. Yet, we are providing front page coverage to MM Lee’s latest thinking on the topic. MM Lee may have been instrumental in building Singapore. But neither he nor his government is always right – as history has proved. We recommend this article in Singapore Angle on the topic: Demographic Policy Transition. Read also: Why are we still being led by one man’s philosophy?